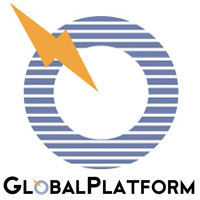 GlobalPlatform announced two new Observer members, Elliptic Technologies and Crocus Technology. As Observer Members of GlobalPlatform— which standardizes the management of applications on secure chip technology— both Elliptic and Crocus will focus their efforts on GlobalPlatform’s Mobile Task Force with Crocus directing additional energy toward GlobalPlatform’s Government Task Force. Crocus Technology is launching new technologies into the marketplace. The partnership will provide GlobalPlatform with a opportunity to contribute to the advancement and definition of new specifications and standards, while Crocus will benefit from GlobalPlatform’s expertise and clout in the chip technology sector. The addition of Elliptic Technologies will help GlobalPlatform to expand upon its trusted execution environment (TEE) based solutions— a sector in which Global Platform would like to be the gold standard. The TEE is a secure zone that resides in the processor of any smart phone or mobile device, which ensures that sensitive data is stored, processed and protected in a trusted environment.